« White Christmas in Inverness? Not long to go before we can start celebrating another Hogmanay in Scotland and as last year we will be at the Northern meeting park in Inverness where the fantastic Red Hot Chilli Pipers together with the Blazin Fiddles. We celebrated Hogmonay last year in Inverness too and although it was cold the entertainment and atmosphere was magical! The 2010 Winter Festival reaches its climax with the Highlands biggest free Hogmanay Party at Northern Meeting Park Arena. 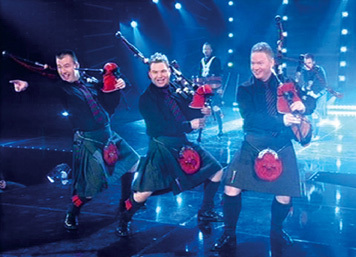 Come and see in 2011 in style as The Red Hot Chilli Pipers, Peatbog Fairies and Blazin Fiddles take to the stage and invite you to dance the night away.